Over 120 employees of Wells Fargo came together for a unique team building opportunity. 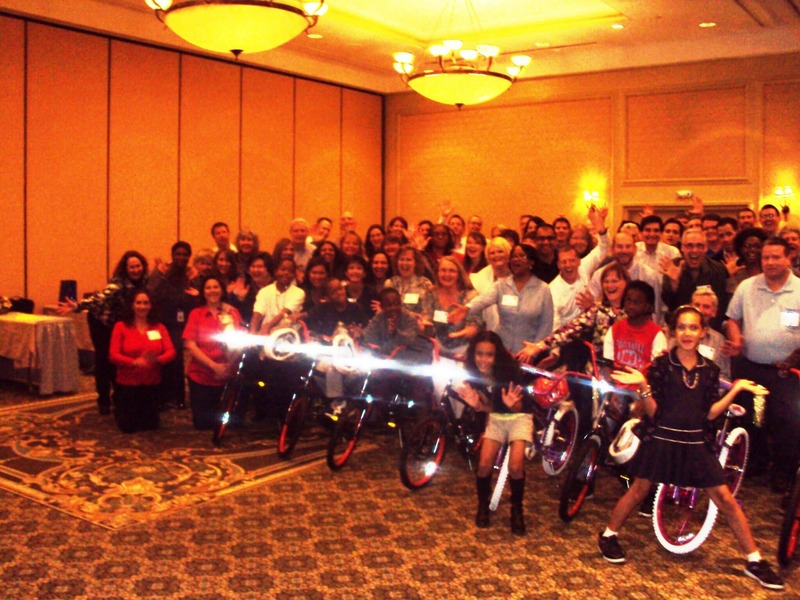 They sponsored a Build-A-Bike Team Building Event in Charlotte, North Carolina, that resulted in 20 new bicycles being built and given to the local Boys and Girls Club. It was a fun and fast-paced experience where the participants got the opportunity to have some fun, learn some team building principles, and see one another in a little different circumstance than they are accustomed to. It was great experience to laugh, learn and give back to the community. What can a Build-A-Bike event teach us about teamwork? One simple lesson that is experiences is that teamwork goes beyond the immediate team to involve a larger team. In this instance there were 18 teams given various tasks, but it wasn’t until they learned to work together across team boundaries that the problems were able to be solved. When the each of the teams enlisted the help of others the team work provided the benefit. Often time companies are divided by location, divisions, departments, etc. But when we work across those boundaries to help each other progress really occurs. We may compete for limited human resources, time, financial consideration, budgetary appropriations, and any other things, but competition can become detrimental to the overall welfare of the larger company. If one branch succeeds at the cost of another the company at large suffers. This was an important lesson for the participants and they experienced the learning a fun and practical atmosphere. This event was produced by our Atlanta, Georgia based team. 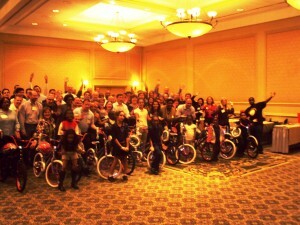 Thanks to Wells Fargo for a great Build-A-Bike Team Building Event. And thanks to the Boys and Girls Clubs of Charlotte for providing recipients for the bicycles.